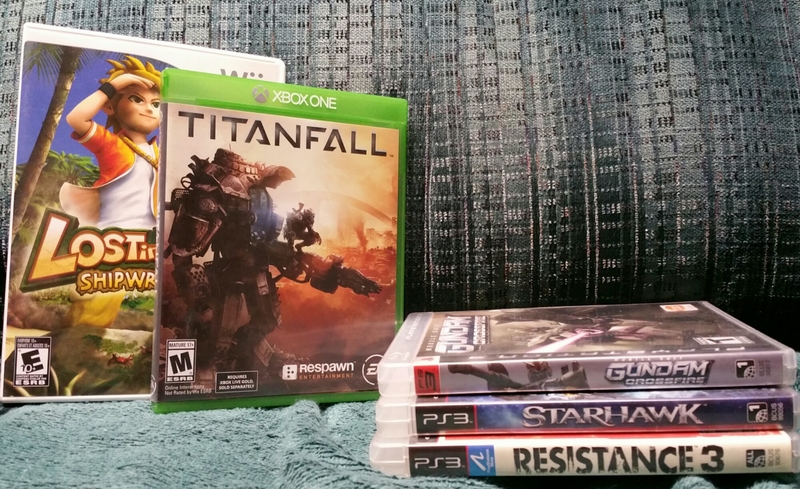 Taking advantage of GameStop’s 4/$20 sale one more time, plus a few extras. 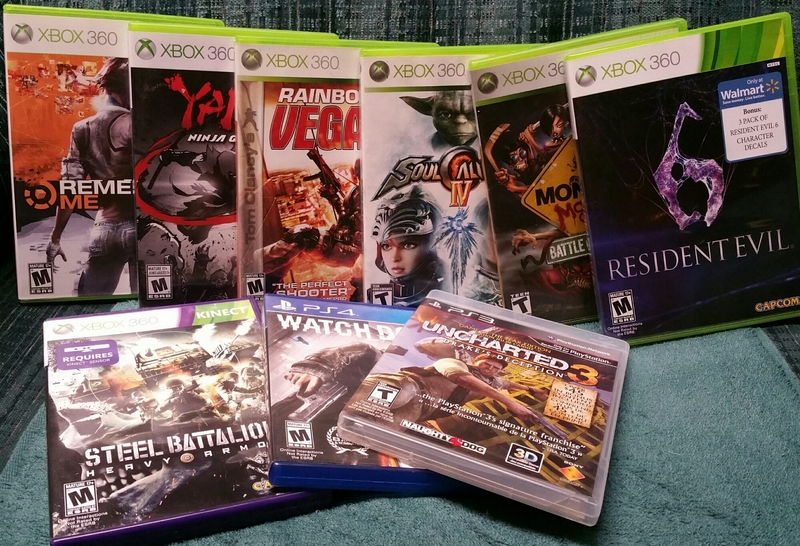 Missing is Resident Evil 5 because I forgot it and I’m too lazy to retake the pic. Lost in Blue rang up $2.99 despite being marked 4.99 and it is oddball enough to carry some demand down the line. If something at GameStop is older or the sticker looks yellowed, it doesn’t hurt to ask for a price check. Never know what price could show up. $63 between two buys at a local game store and Goodwill. Nothing immediately leaps out, but Beat Down and Twin Cobra have long been on the want list. Time to scratch them off, even though Twin Cobra is in miserable condition. Bomberman on PSP isn’t special now, but most games in the series maintain or go up in value. GameStop sale, 4 for $20. Monster Madness was an extra for $1.50. Uncharted 3 is an interesting case study in the future of collecting – a complete edition with DLC on disc. Many re-releases put extra content on paper for later download. Trying to figure out how to best keep that additional content (or which edition to buy) will be a confusing battle as time passes.